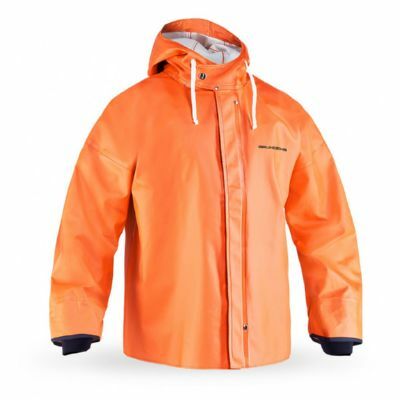 Jacket with adjustable hood. Hidden button closure, double-buttoned storm flap. Neoprene cuffs at sleeve ends. Relaxed fit.